Police officers standing on the street with guns drawn and pointing upwards during the July 1964 Harlem race riots. The picture is part of the New York World-Telegram and the Sun Newspaper Photograph Collection. 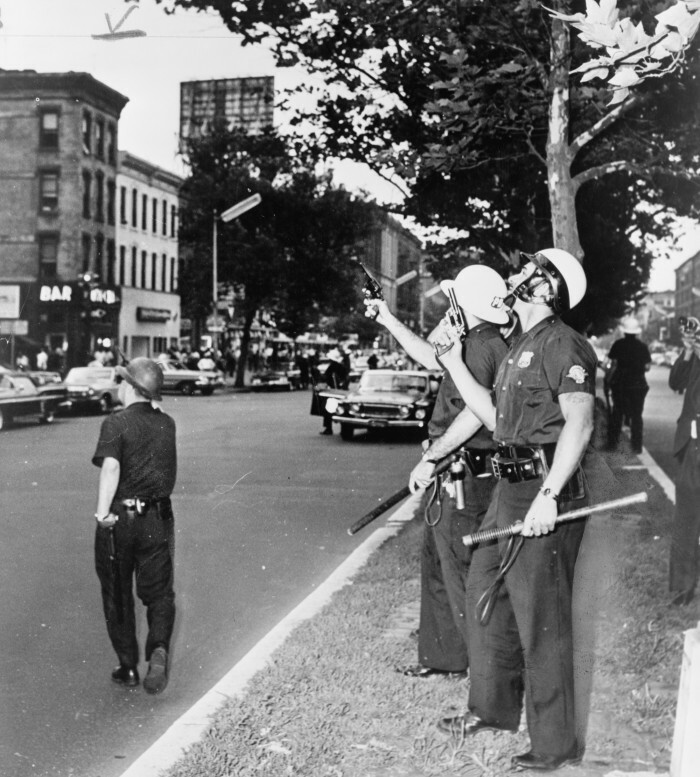 Previous Post: The 1964 Harlem Riots at Seventh Ave. and 126th St.
Next Post: Italian Bread Peddlers, Mulberry St.